Take action now for better streets! April 18, 2018 / admin / Comments Off on Take action now for better streets! The My Liveable London campaign is now live. 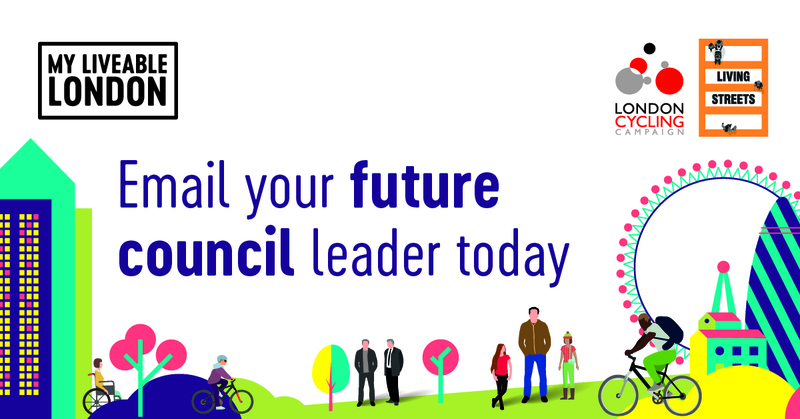 You can now take action in just one minute – click here to start sending an email to Enfield’s party leaders (or another borough’s, if your address isn’t in Enfield) asking for their commitment to liveable streets that are safe and welcoming for walking and cycling. This is an unprecedented campaign, uniting pedestrian and cycling campaigners across London. Please don’t miss this opportunity to get our message across to Enfield’s party leaders. 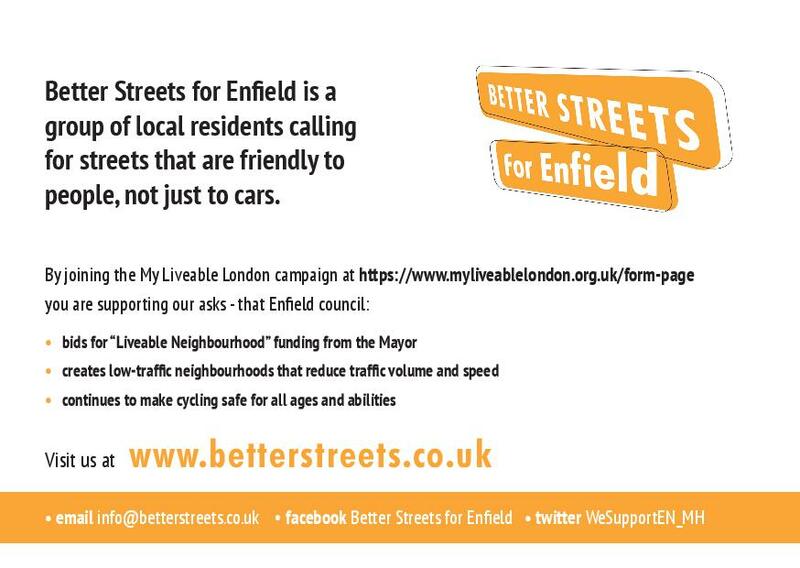 By taking action you’re supporting Better Streets for Enfield’s asks: to apply for Liveable Neighbourhood funding, create low traffic neighbourhoods and continue to make our streets safe for all-age cycling throughout the borough. And don’t forget to vote on 3rd May for whoever you think will bring us better streets! 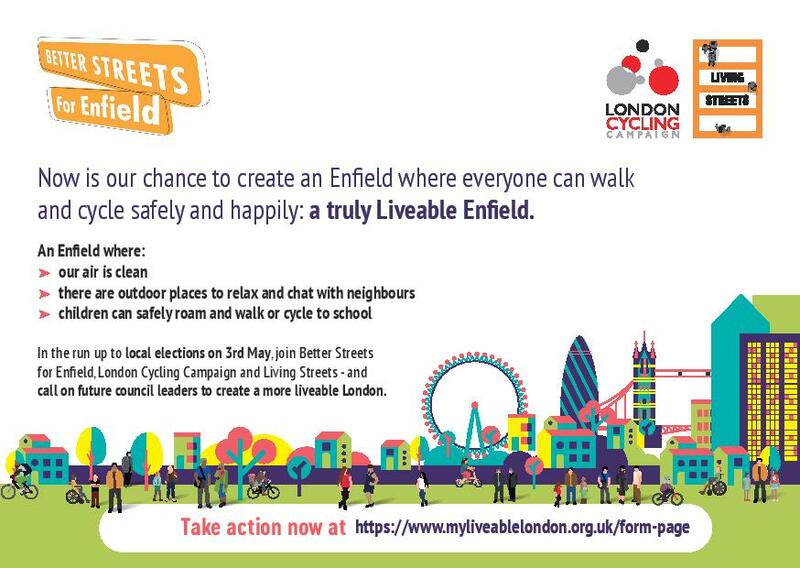 Do you want a liveable Enfield? Dangerous orcas and bus stop boarders?